In the field of creative working environments, New Zealand is a world leader in innovation. 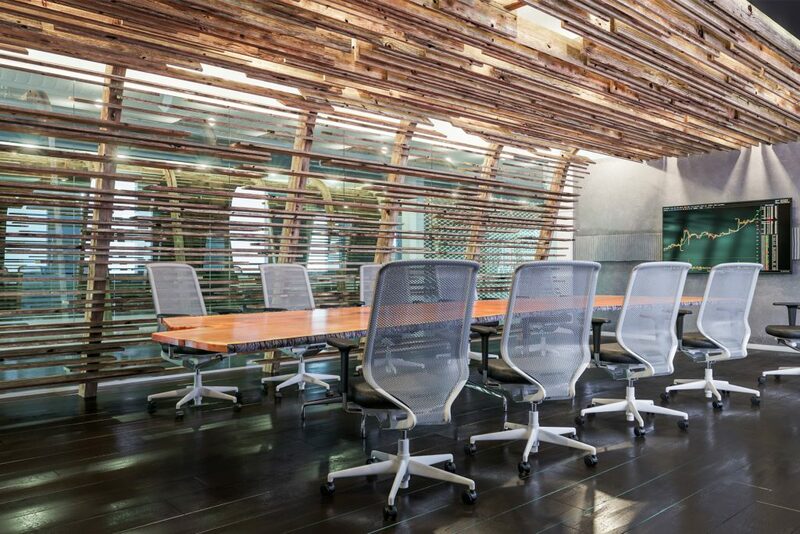 New Zealand businesses of all shape and size are always on the lookout for new methods of building functional office spaces that facilitate creativity, efficiency and productivity. One of the most effective ways to improve and maintain employee engagement throughout the day is to ensure staff are able to relax and enjoy their time at work. Trade Me’s Wellington office achieves this with numerous playful elements including a slide from the top floor as an optional alternative to stairs. The office also incorporates a caravan once used as a temporary office during construction, now serving as a private work or meeting space and a fun reminder of the business’ history. Trade Me also takes advantage of its harbour view with informal conversation and collaboration areas with bean bags to help employees relax at work. A workplace that inspires creativity and collaboration is a huge asset for any business involved in a creative industry. MixBit’s Dunedin office allows staff to seamlessly connect and work from anywhere in the office, with numerous open spaces with integrated monitors, workstations and whiteboards to allow for easy collaboration anywhere. Live video links connect the office with its California counterpart to further facilitate collaboration. Various games and LEGO are provided throughout the office to stimulate creativity and encourage teams to socialise together. Energy-efficient office spaces are becoming increasingly popular, with companies and employees taking sustainability more seriously and aiming to reduce energy costs. Westpac’s Auckland office is one of the most environmentally friendly and sustainable offices in the country, and is the first NZ heritage building to receive five stars from NZGBC. The office makes use of automatic light dimming during daylight, occupancy sensors and focused light to reduce the lighting bill, and temperature and ventilation systems use fresh air from outside to regulate the office and reduce the energy costs of heating and cooling. Outdoor work spaces, break areas and cafes, all with outdoor wifi, across the office’s 12 floors allow employees to escape the office to work and collaborate outdoors for a healthier work day. When it came to refurbishing their Auckland offices, law firm Russell McVeigh built a workplace focused on wellbeing and flexibility, and took on the unusual challenge of creating an open-plan space for the legal field. The office makes smart use of space by placing quiet work areas and private meeting rooms with video conferencing capability in the centre of the building, with more open and flexible work areas, seating and storage around the windows. Staff have a variety of spaces to work in as well as each having a sit-to-stand desk to promote movement and healthy posture during the working day, and all materials and colour palettes were chosen to enhance the available natural light and reduce the strain on employees’ eyes. Have a chat with us today to find out how DB Interiors experts can transform your workplace’s ability to attract and retain the best talent through great design.